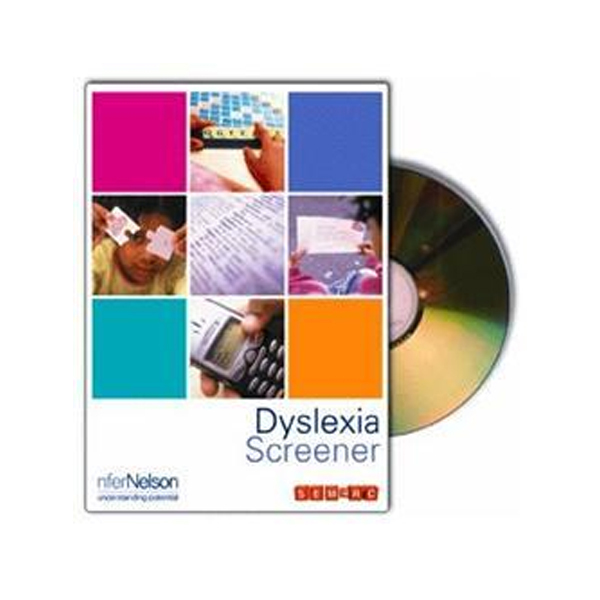 KAZ Typing – SEN/Dyslexia Adult Edition – Real Special Ltd. 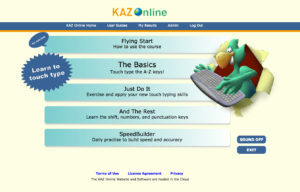 Using KAZ Typing Tutor’s unique accelerated learning system, you learn to type correctly and can master your keyboard in minutes instead of hours. 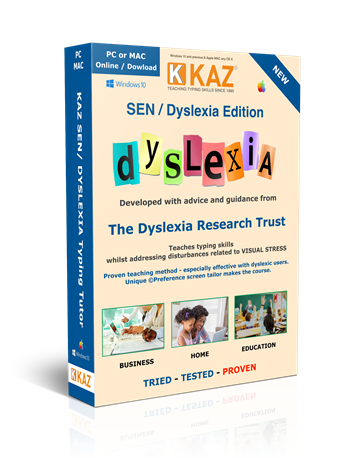 With advice and guidance from several dyslexia experts, KAZ has been further developed to teach typing, whilst addressing the issues related to visual stress suffered by SEN/Dyslexic users. 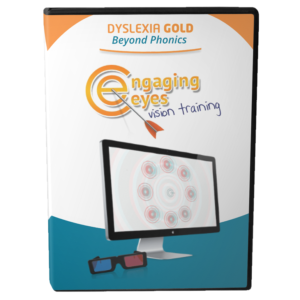 The combination of this multi-sensory, unique teaching method, and the new ‘Preference Screen’ delivers a student tailored, dynamic course. 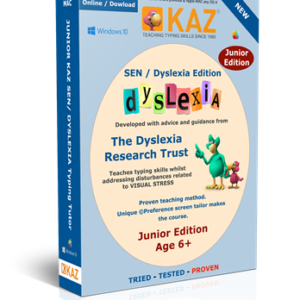 Incorporating a multi-sensory approach throughout, KAZ’s new SEN/Dyslexia Edition teaches typing skills whilst minimizing disturbances related to visual stress, by means of a unique ‘preference screen’, offering a choice of preferences. 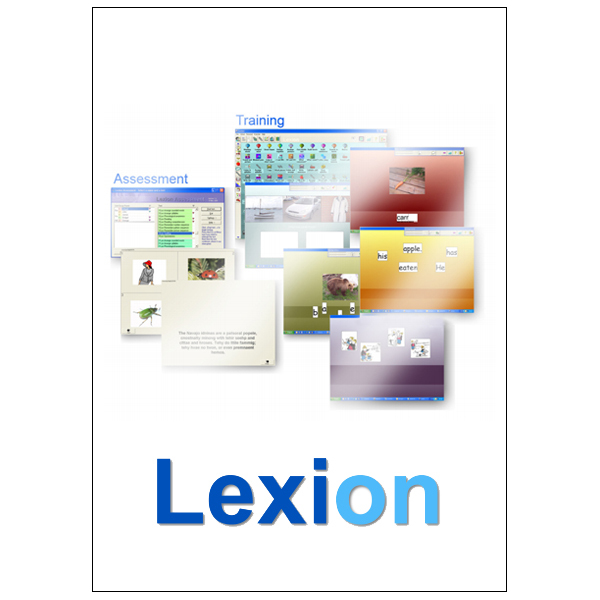 Once the user has selected their preferences and can read the sample text comfortably, these options are then ‘Saved’ and applied throughout the course, tailor making it and ensuring the learning experience is comfortable and enjoyable. 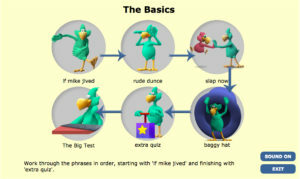 The KAZ program uses a unique ‘accelerated learning’ teaching method. 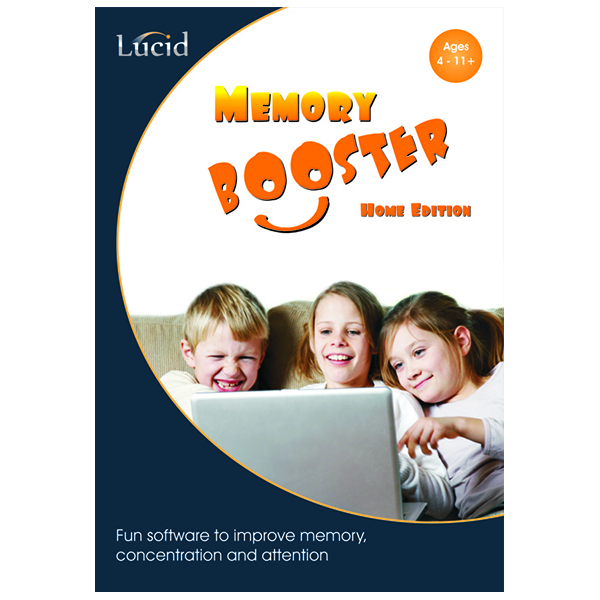 Incorporating both ‘muscle memory’ and ‘brain balance’, it engages the major senses of sight, sound and touch simultaneously, radically enhancing memory retention and recall – which is why it is so effective. Using specific combinations and progressions of just 11 words in 5 scientifically structured phrases, the method trains the fingers on both hands to work symmetrically and simultaneously – a direct result of both hemispheres of the brain working at the same time –‘brain balance’. 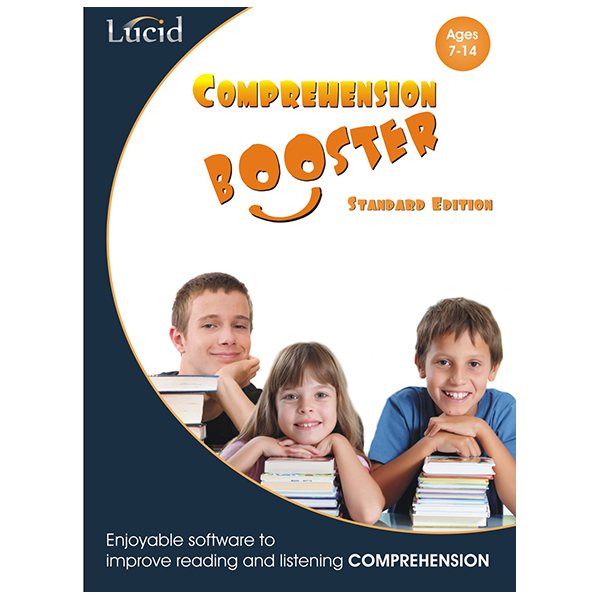 Each section offers instruction and encouragement in short modules in order to hold concentration and once again, avoid overloading the working memory. The student is allowed to progress at their own pace, acquiring the skill and gaining speed and accuracy without even realising it. With KAZ, the user does not have to rely on their spelling ability. 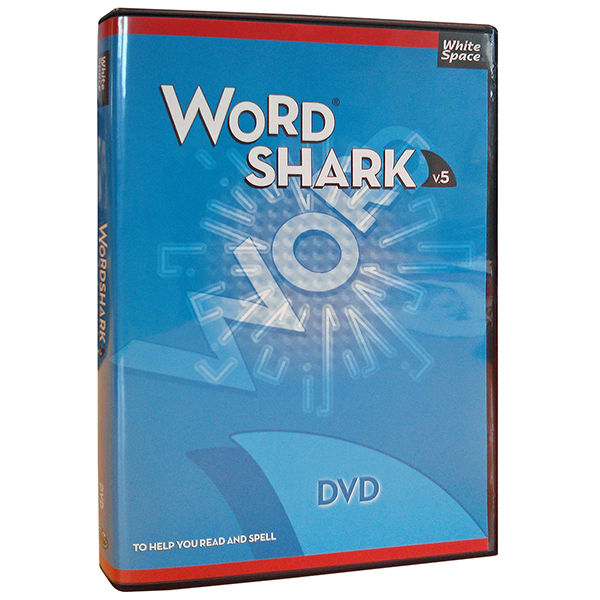 All vocabulary is displayed on the right hand screen and they simply have to copy and type the text into the left hand screen – as learning to type is the main objective. 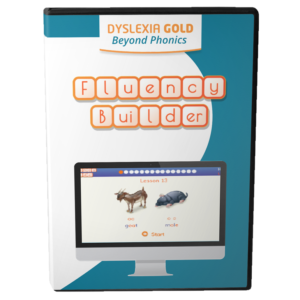 However, the tests and the SpeedBuilder module have been structured so that the user has to type the correct letter / key, before they can continue on to the next letter. 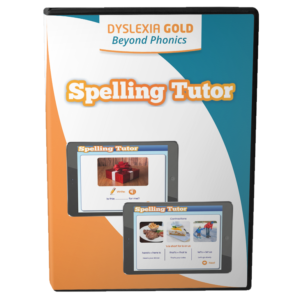 With practice, ‘muscle memory’ ingrains these actions, and spellings become a series of finger movements on the keyboard, dramatically reducing the likelihood of transposing and misspelling words.This is why so many Special Needs Coordinators (Senco’s) and teachers recommend KAZ’s dyslexia typing course.